Here's a photo of a statue of the goddess Eris, clutching her golden apple. The Rev. 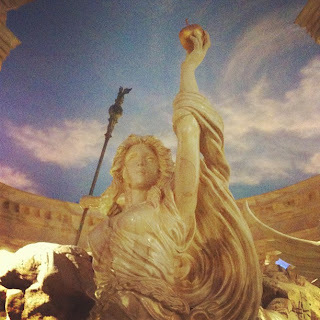 Dr. Narot (@narot23 on Twitter) tells me it's a photo of a statue at Caesar's Palace in Las Vegas. I don't have any other information. Original link here.